Placemats are the perfect tool to showcase your brand or menu and optimize the customer experience. The Placemats are printed on A3. You can choose from a wide range of materials and quantities. 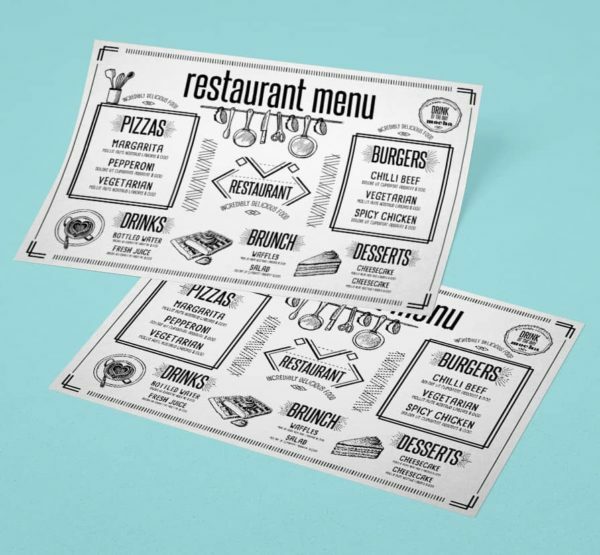 Print your own design onto the Placemats and give your customers the experience they deserve!